Creationist surgeon Dr Andrew Hodge M.B., B.S., FRACS, is Head of the Cardiothoracic Surgical Service at the Fremantle Hospital in Western Australia. A specialist in coronary bypasses, valve replacements and lung cancer, he is a busy man—heart and lung diseases are a major health problem all over the world. Much of this he attributes to genetic inheritance as a continuing and increasing effect of the Curse (because of sin) which affects us all. But he notes that the problems are much worse in those with poor dietary habits and lifestyle, especially smoking. 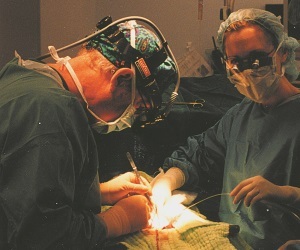 Dr Andrew Hodge, assisted by his daughter Dr Meredith Hodge, performs open heart surgery (pictured joining a coronary bypass conduit onto the heart). As a Christian, Andrew feels that he is in a privileged position to assist not only the physical, but also the spiritual healing of his patients. It is not always easy to witness to folk during ward rounds, with nurses and other hospital staff looking on, so he will often return privately to some patients to read the Bible and pray, and hopefully lead them to salvation. He explains that when many of his patients are faced with the prospect of death, they often ask him, ‘Why does God allow this to happen?’ Despite their questioning, however, they often try to avoid coming to terms with whether there is life after death, and resist coming to Christ. He says, ‘So many people believe that they are “good” and that if they die, God will understand.’ He also notices that many people do not think of God as personal, believing instead in a New Age god who is in ‘everything’. Besides the individual’s personal pride and poor appreciation of their sinfulness, Andrew attributes much of this thinking to a lack of foundational Christian teaching, and the influence of evolutionary belief. This undermines the authority of the Bible, belief in a Creator, and consequently the need for redemption. Today, Andrew is a deacon in his home church, where he also leads the worship and runs a small group Bible study of his own. ‘We’ve just finished the Ken Ham 12-part dvd series in our group, using the study guide with it. It’s been excellent’, he says. Andrew mentioned that over the years he has received many questions about evolution and creation. He has also experienced ridicule from his peers in the medical profession. Recently, a surgeon-in-training was very vocal about his knowledge and support of evolution theory. Andrew challenged him and gave the young man copies of our CD-ROMs, Creation and Project 3:15. After a while, the opponent became less vocal, finally admitting that he accepted evolution ‘by faith’. A fossil (such as a fossilized tree trunk) that extends through several layers of rock is called a polystrate (‘many layers’) fossil. The layers are generally presumed to have taken thousands, or even millions, of years to have been laid down through slow gradual processes. Some long-age theorists concede that the individual layers were laid down rapidly, but even then there is a problem for long-age beliefs. If there were millions of years separating the layers (whether they formed rapidly or slowly), the top of the tree would not remain standing for millions of years, as it would not be covered, and thus would not be preserved by fossilization/petrification. This is powerful evidence for the notion that the entire sequence of layers did not take more than a matter of months to a handful of years (at most) to build up around the tree. Importantly, Andrew explained that in all of his practice and research as a doctor, he could not think of one single example where a belief in evolution had advanced medicine or the care of individuals. ‘It’s just the opposite’, he says, citing abortion and euthanasia as examples of the tragic influence of evolutionary beliefs. His own research is relevant to creation/evolution. 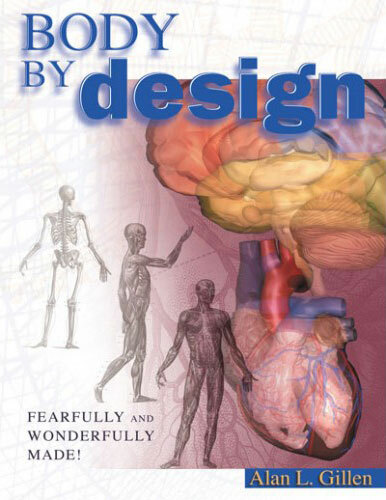 It involves developing suitable replacement valves for the human heart. He says, ‘Most people think that we are closely related to the apes, but we use pig valves. Because of a fundamentally good created design (and for commercial reasons) they are an adequate match to human valves.’ He explained that scientists have tried to manipulate pig DNA to more closely match human DNA. But there has been a high rejection and failure rate using the organs from these engineered animals. He says that his belief in the Creator has enabled him to completely immerse himself in the Scriptures. Knowing he can trust them completely helps him in trying to transmit his trust in God to many of his patients. He says that many express comfort in knowing a Christian is operating on them, but is amazed at how few will acknowledge God for themselves. Andrew has seen God do wonderful things in people’s lives. One terminally ill lung cancer patient in his 50s asked his GP where his heart was located. Then, visiting a building site, he picked up a powerful nail gun, and shot a nail into his chest to try to end his life. The nail just missed his heart, but went through his lung and out through his back. ‘Ironically, his cancer actually prevented his lung from collapsing and killing him’, says Andrew. During this man’s consequent hospitalization, Andrew says he ‘shared God’s love for him, and the need for salvation. He did not come to Christ there and then, so I left a Bible by his bedside. In the morning, when I returned, he had a radiant smile on his face. He said to me,“I did business with God last night.” He had committed his life to the Lord, and he died a few weeks later.’ He’ll be with the Lord for eternity. I was greatly encouraged by my time with Andrew, hearing of his commitment to his patients and to Christ. Thanks, Andrew. 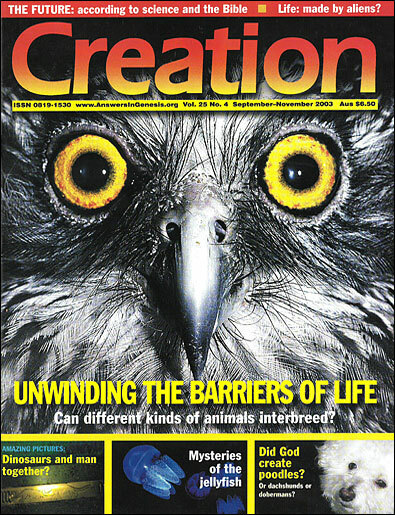 Founding editor of Creation magazine, Managing Director of CMI-Australia. Return to text.